The shortest distance between two points on a globe is not always a straight line—it’s an arc called a great circle. This complicates long-distance navigation. Rather than stay on a constant heading, pilots must regularly adjust their course to stay on the arc. The great circle effect is most dramatic near the Poles. 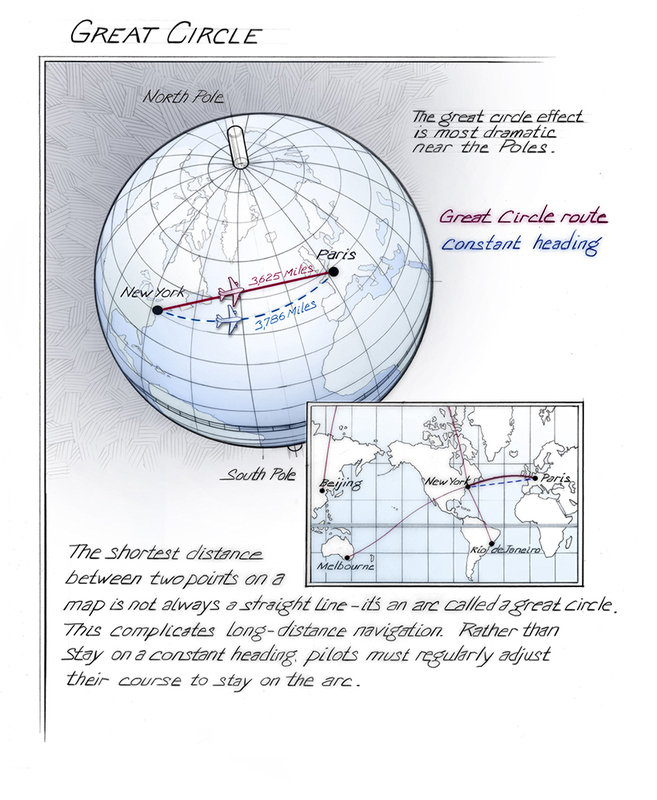 The shortest distance between two points on a globe is not always a straight line—it’s an arc called a great circle.